It is nearly impossible to convey the joy enveloping the Catholic community as we anticipate the beatification of one of the most holy pontiffs of the 20th century: Il Soriso di dio–the Sunray of God’s Love. Although his pontificate lasted a mere 33 days, his life and dedication to our Church lasted his life time. This zucchetto is one of the most treasured items in the Collection. It was worn within months of his election. 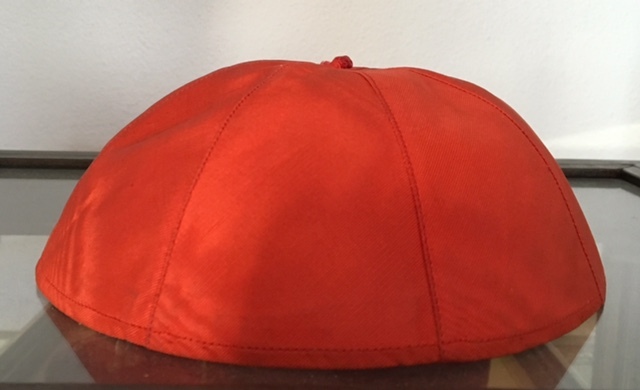 With this acquisition the Collection now has a zucchetto from every Pope since Blessed Pope Pius IX. 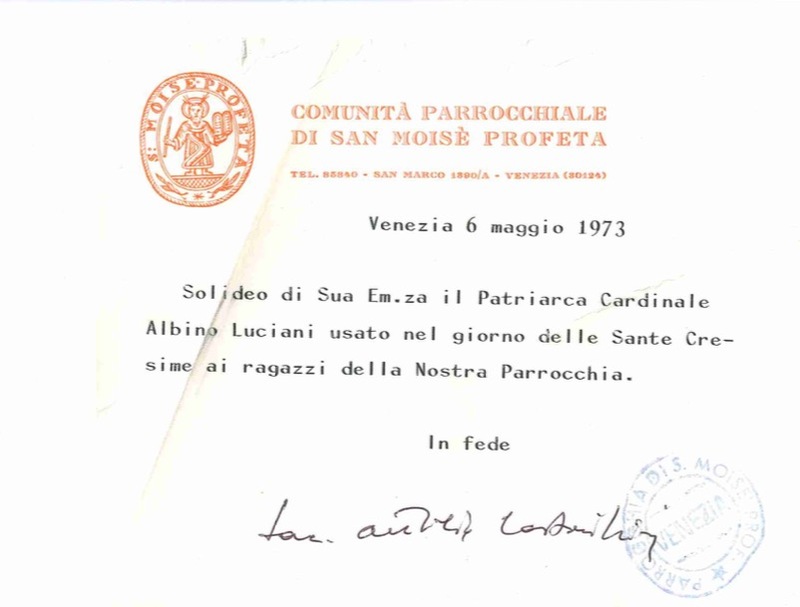 Albino Luciani was created cardinal on March 5, 1973, by Pope (Blessed) Paul VI.